Please Note: The views expressed by the Guest Speaker do not necessarily represent the view of The Rotary Club of Toronto. Location: Fairmont Royal York, Imperial Room, 100 Front St. W.
Providing the most intriguing and significant analysis yet of Trump's political rise. Ambitious in intellectual scope, contrarian in many of its opinions, and admirably concise, this is surely set to be one of the most provocative political books you are likely to read this year. 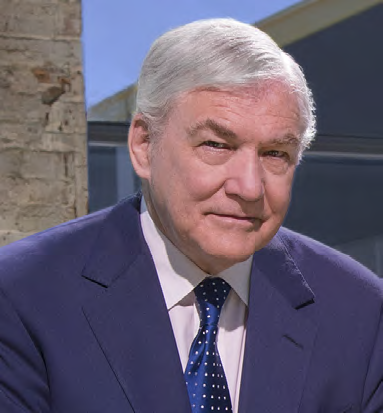 Lord Conrad Black is a graduate of Carleton (Ottawa), Laval (Quebec), and McGill (Montreal) universities, and is an accomplished historian with a prolific body of work. As an acclaimed author and biographer, Lord Black has published comprehensive histories of both Canada and the United States, as well as authoritative biographies of Maurice Duplessis, and presidents Franklin D. Roosevelt, Richard Nixon and Donald Trump. Lord Black is also a television and radio commentator and a sporadic participant in the current affairs programming of CNN, Fox News, CTV, CBC, BBC, and Radio Canada. Conrad Black is a Canadian-born British peer, and former publisher of The London Daily Telegraph, The Spectator, The Chicago Sun-Times, The Jerusalem Post, and founder of Canada's National Post. He is a columnist and regular contributor to several publications, including the National Review Online, The New Criterion, The National Interest, American Greatness, The New York Sun, and the National Post. Lord Black is an experienced financier, was the head of the Argus and Hollinger corporate groups for many years, and private companies.